In Australia it is enrolment peak, with most PhD candidates starting before the end of March. I like to feature advice from students for other students. You are the ones most close to the experience, so advice from peers can be both relevant and useful. However, all the content on the Thesis Whisperer has been authored by candidates in Australia, Europe, the US and Canada – which gives it a definite Western bias. This is the first post from Africa and I hope there will be more in due course (please write in!). 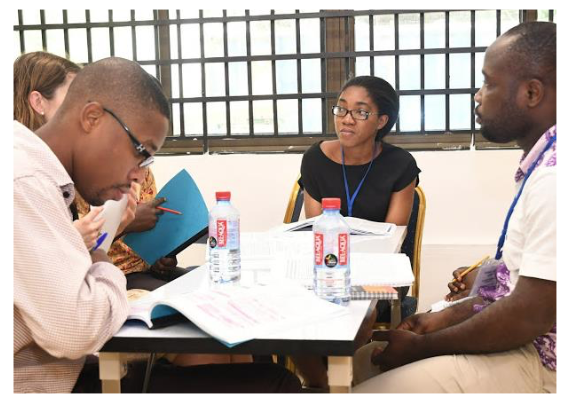 Pearl Osirike is studying for Her PhD in Ghana and shares her top tips. 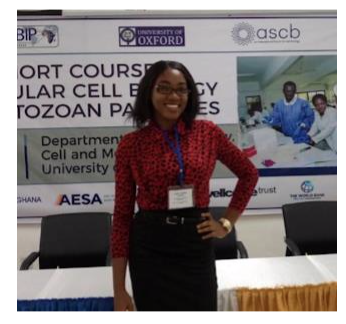 I commenced my PhD programme in Molecular and Cell Biology of Infectious Diseases at the West African Centre for Cell Biology of Infectious Pathogens (WACCBIP), the University of Ghana in August last year. WACCBIP is a world class research centre where young African researchers are groomed to be research leaders who would change the landscape of African research, and in fact, worldwide research in the nearest future. I enthusiastically bade my family, job and country farewell in pursuit of a dream. The African dream. My fairy tale story had only begun. too. In this post, I share some life lessons gained in these few months. because of my naturally introverted tendencies or perhaps I grew up in a culture where asking questions was not particularly encouraged. In the past months, I have come to understand the importance of asking questions – and asking them out. In reality, there are no silly questions. However, there is a difference between an interesting question and an important one. The desire to answer questions drives every research – important questions to be more specific that provide answers to complex life problems. Ghanaians have a popular saying: “knowledge is not in the head of one person”. The more we ask questions, the more knowledgeable we become, and the richer our lives would get. these ideas. I also receive constructive feedback by doing so. In this day and time, we cannot afford to be like the tortoise in the childhood folklore who in a bid to hoard his wisdom fell off a tree and cracked his shell. knowledge out of it. I selectively took out what I found useful and discarded information I considered to be irrelevant. Now, I take everything with a pinch of salt: I called that “healthy skepticism”. I critically evaluate every information and make an informed decision on what my position is on the subject and how I can improve existing knowledge. seemingly awkward times. To be successful in life, “you need to be sharp” as one of my lecturers is fond of saying. In essence, every opportunity you have is what you make out of it. responsibility. We are one big family made up of different people from different backgrounds with different strengths all pulling together their uniqueness in beautiful harmony. The centre has achieved all it has in such a short time because of its unity. If we are ever going to do anything epic in life as humans, we need to be united, and I have seen this at play. We must identify our strengths and leverage on it to add value to those around us. As an African scientist, I have seen excellent examples of exceptional people who have achieved greatness despite their humble beginnings and against all the odds. This is a massive motivation for me. It makes me realize that my dreams are possible, and I can achieve anything I set my mind to be without any limitations. I have also seen incredible women excelling in every facet of life and these sparks up unquenchable fires in me. If they can, so can I – and so can you! I have always known about the importance of being clear about what one desires out of life but being at WACCBIP has made me better appreciate that. Before the commencement of any research here, one is expected to have an unambiguous picture of the task ahead: What research questions are you asking? What is your approach to answering these questions? When you get your answers, how do you deduce meaning out of it? How innovative would the answers you get be? What do you need to get an answer to your question and how long would it take you to do so? These are basic. The tune of your research would evolve as you commence but then you need to be on top of your game even before you start. I cannot help but notice how critical this approach is to solving real – life problems. You must always have a clear-cut plan for tackling any obstacle on your way. You should have a sense of direction because if you do not have a destination, you would never arrive. Work is just like air – it fills every space available to it. It is tempting to be so carried away with studies that my life becomes very triangular (class–home–church). In reality, this reduces productivity and heightens boredom. Thankfully, WACCBIP is a place where people work hard and play hard. We understand that achieving a work-life balance is essential. Writing on my blog is one of many other things I do for fun. Aside from the great joy I derive whenever I get the opportunity to put my thoughts together in one piece, it also helps me to express myself better and to improve on my writing skill which is invaluable for my research career. The workload is vast, so I have learnt to break down enormous tasks into smaller, chewable sizes for effectiveness and celebrate each small victory along the way. If I fail to do this, I get overwhelmed by the thought of the enormous task ahead, and I am barely productive. The environment at WACCBIP is very competitive. Everyone produces immense value – nothing short is expected. I find that each little victory gives me the strength to push on when the going gets tough. I initially set out to share only five lessons – I could not help but include an extra three. I hope to share more experiences as time goes on and events unfold. In the meantime, I hope you can learn some lessons from these and I would be glad to know which of these you find the most insightful. Thanks Pearl! How about you? Any further insights to offer our beginning students? « What does academic work look like? I am a non Aboriginal person working in Aboriginal research in South Australia. I welcome sharing view points and experiences that are intersectional and am so pleased to read Pearl’s piece. I would also be keen to see included on your blog a similar piece by an Aboriginal PhD or academic, particularly around how they decolonize research (I think all researchers have a lot to learn about decolonising aboriginal or not). Would that be within the scope of your blog? Happy to publish such a piece, if someone wants to write it! This is truly incredible experience! Super proud you, Pearl! I still remember reading this piece like it was just yesterday.